Quantreum Coin is focused on giving transportation to its another evolution which will be Logistic 2.0. We are dedicated towards bringing the Advance IoT and Blockchain integration with established Transportation Industry. With Much focused on transportation Quantreum associated with Lorrysewa to bring, complete logitics and current transportation issues on board and get it solved with solid combination of Blockchain, IoT and Artificial Intelligence. Blockchain technology is evolving. It allows a decentralized and immutable storage of veri ed informa on. The bene t of integra ng blockchain technology in the data mining, logis c and supply chain management industry to boost system e ciency can no longer be ignored. 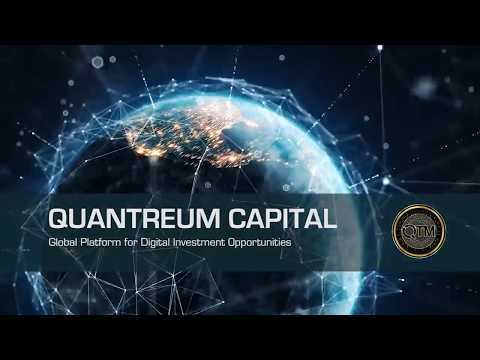 Quantreum want to build a large open source decentralized mining algorithm with logis cs and supply chain management ecosystem integrated in blockchain to boost enterprise e ciency, transparency, reduce cost and eliminate incidences of supply chain management fraud that has being plaguing the industry. The greater percentages of goods that are traded globally depend on ocean cargo shipping. Currently, transporta on and shipping industry both sea, air, rail and road shipping highly depend on paperwork which is not securely digi zed. Shipping data commonly changes hands during the cycle across various companies and contractors. These analogue processes of ve ng can cause delay. The delay or loss of such documents makes goods to get stuck at checkpoints or ports. Through data mining, relevant informa on could be gathered to help boost business opera ons of logis c and supply chain industry.